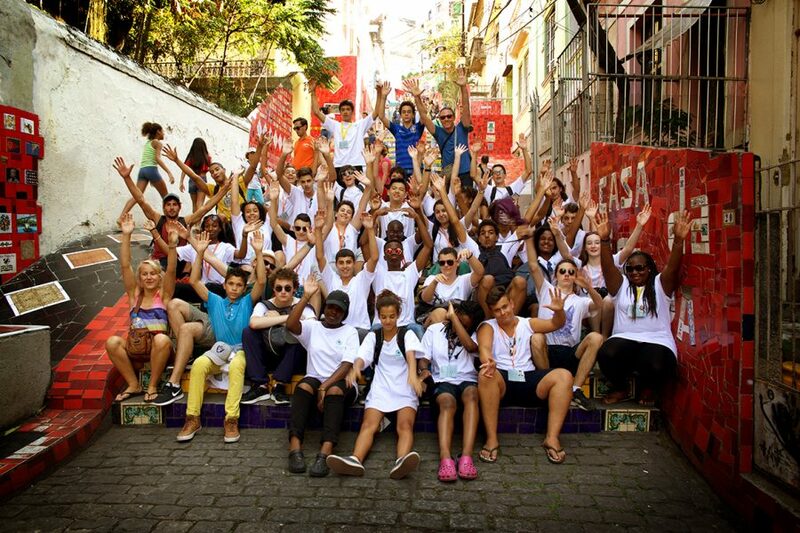 While athletes from around the world competed at the Olympic Games in Rio last month, Vision For Life, Essilor’s strategic giving fund, joined hands with French non-profit organization Sport’ A Vie to show 120 young people from underprivileged suburbs of Paris just how difficult it is for some Brazilian communities to have access to basic vision care, offering 28 orphans the gift of vision. The Sport’ a Vie association members helped out at vision screening events at the Romao Duarte orphanage in Rio and visited local communities to see how the Vision Ambassador program, run by Instituto Ver e Viver, is improving access to good vision. We spoke to the President of Sport’ A Vie, Rachid Djouadi, about what he and the group learnt during their trip to Rio. What was the objective of this partnership between Vision For Life and Sport’ A Vie? Our collaboration with Vision For Life is based on a value that we both share as organisations, namely solidarity. The partnership is centered around Sport’A Vie’s project to educate the young adults who belong to our association to better see and understand the world around them in order to be better perceived themselves – in other words it strengthens the notion of respect we believe is so important to succeed in life. We therefore decided together to create this mission of solidarity for young orphans in the context of the Olympic Games in Rio. Have you ever thought about the impact that poor vision can have on a person’s life or on society prior to the launch of this partnership with Vision For Life? Yes. As a teacher I realize every day that poor vision is a handicap for young students in every aspect of learning, from writing to reading. Could you share with us what you learnt during this project with regards access to good vision and its importance for underprivileged populations? Underprivileged people – who already face many other handicaps – vitally need to overcome the issue of poor sight. Seeing these populations who struggle to access eyeglasses brought out several emotions in the group, from humility, to respect, to generosity towards those who have less than we do. What do you think were the key takeaways that the students took home from the vision care activities in which they participated in Rio ? I will quote some of the words the students used : courage, respecting others, help, friendship, solidarity, smiles, love, perseverance, life and survival.